The Global SME Finance Forum 2016 will explore the latest trends in financial innovation around the world to spur new opportunities to better finance SMEs. Visit the event website to view the agenda, speakers, sponsorship opportunities and RSVP. SME Finance Forum members get free admission. 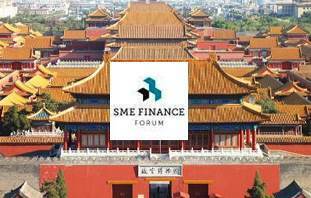 The Global SME Finance Forum 2016 is an annual gathering of senior leaders of financial institutions, development finance institutions, non-bank investors (angel investors and venture capitalists), fintech companies, policymakers and regulators. This flagship conference is a unique global event focused on improving finance for small and medium enterprises. BIIA members get 20% discount on early bird admission (ends August 15) and regular price admission (effective August 16). Use code SMEAssoc2016.